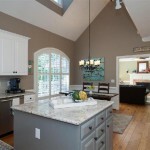 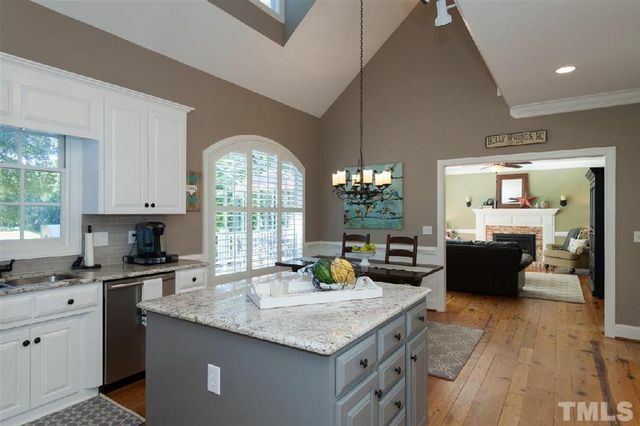 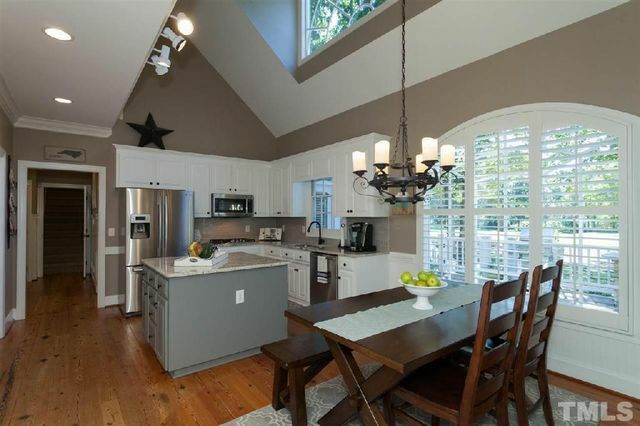 This kitchen already had tons going for it – natural light, a huge island, fantastic finishes…the list goes on and on. 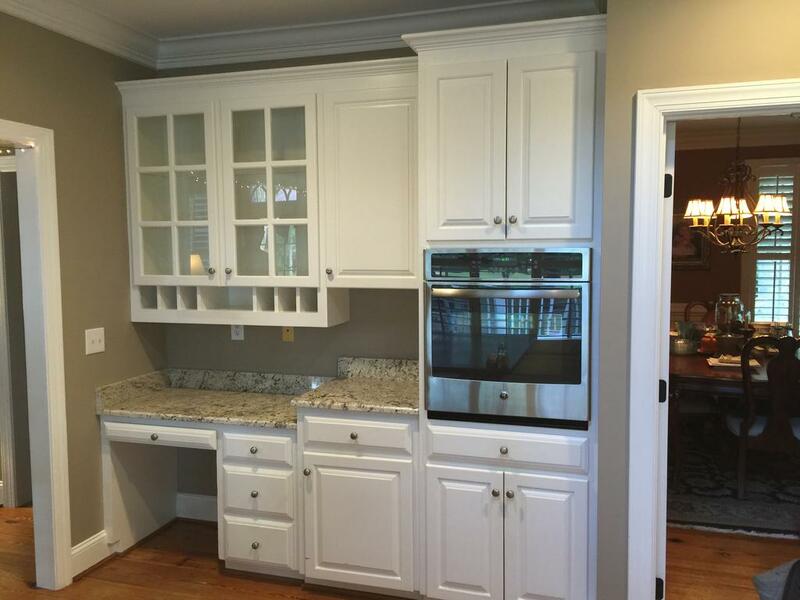 But what it didn’t have was a nice paint job on the cabinets. 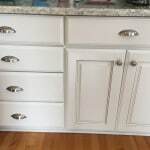 They had seen better days and were starting to show their age. 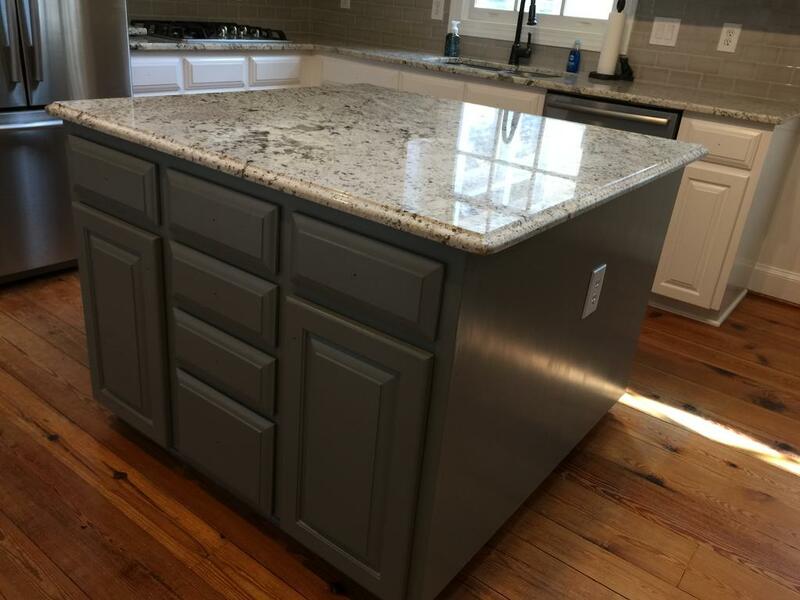 So we fixed all the problem areas and gave them a fresh coat of paint. 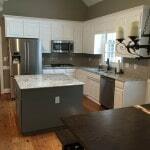 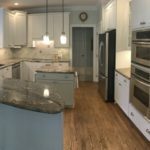 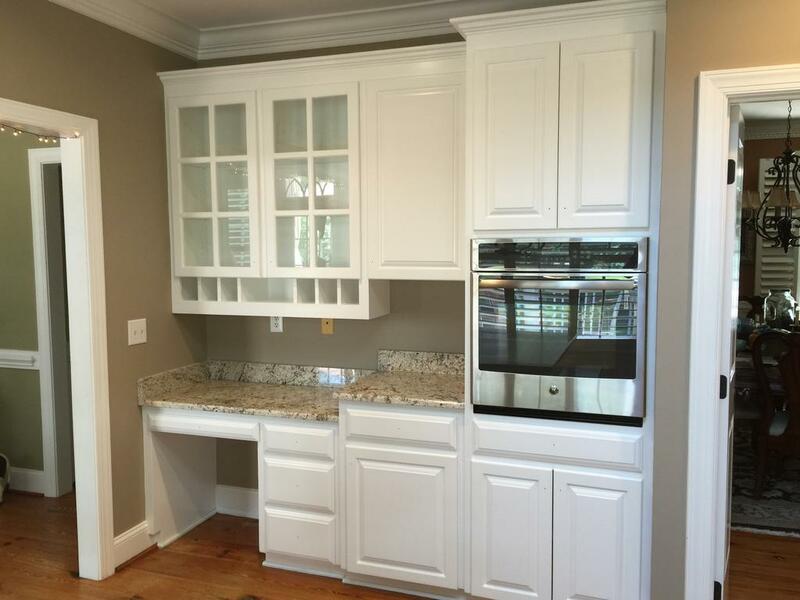 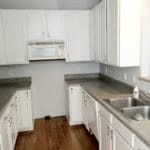 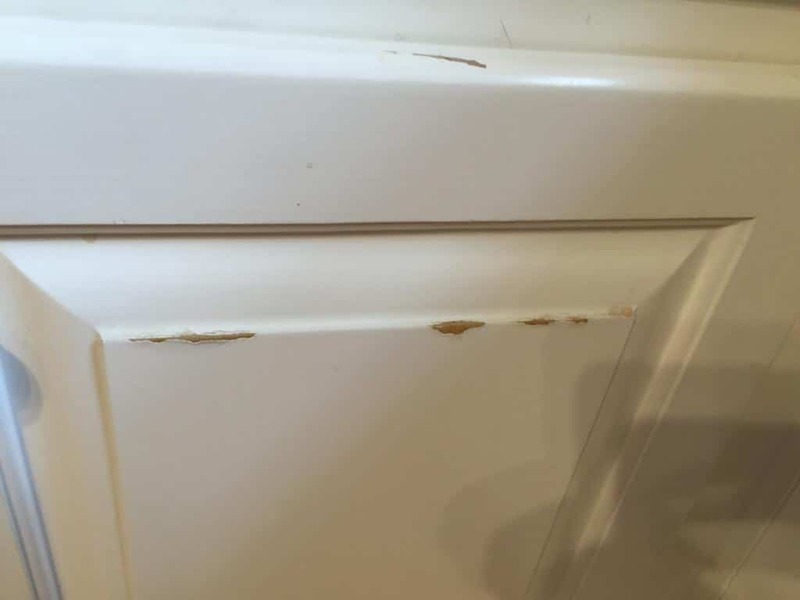 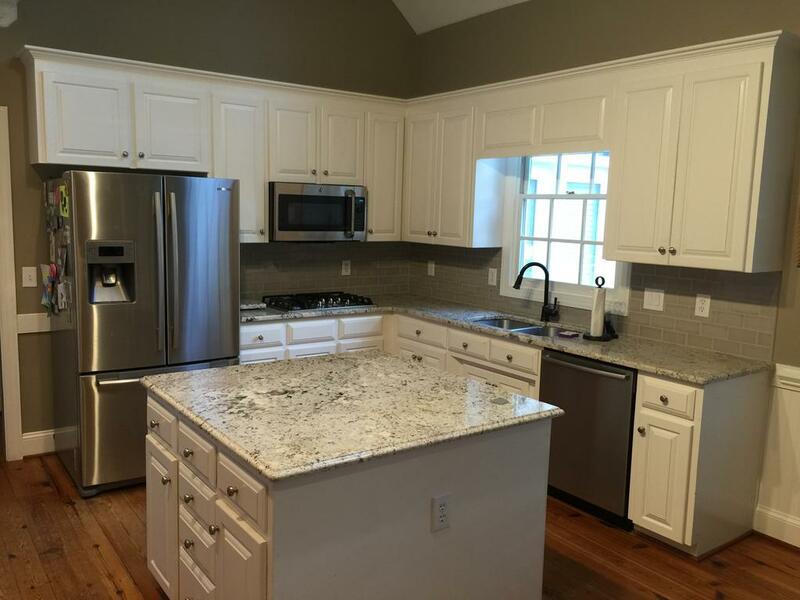 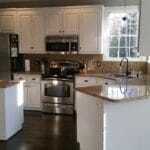 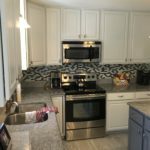 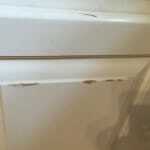 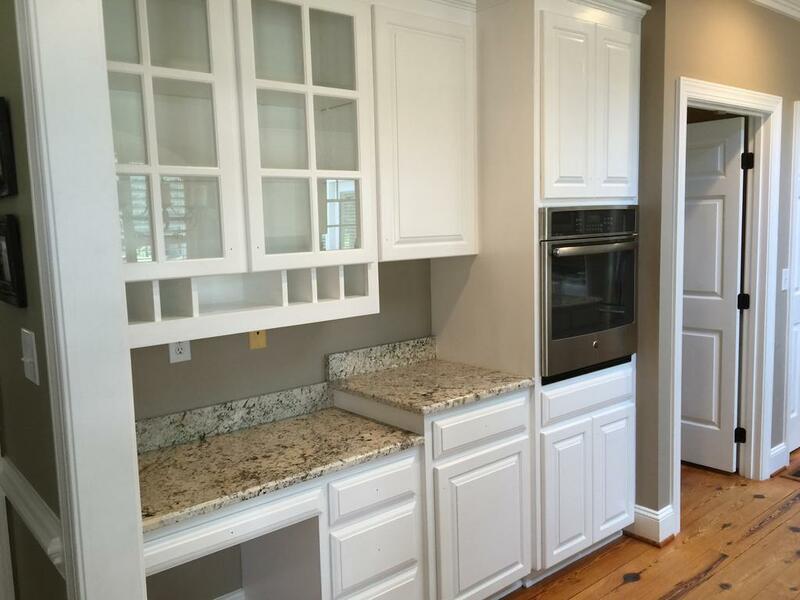 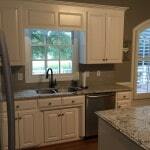 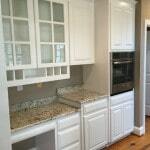 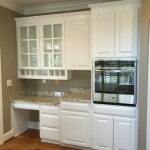 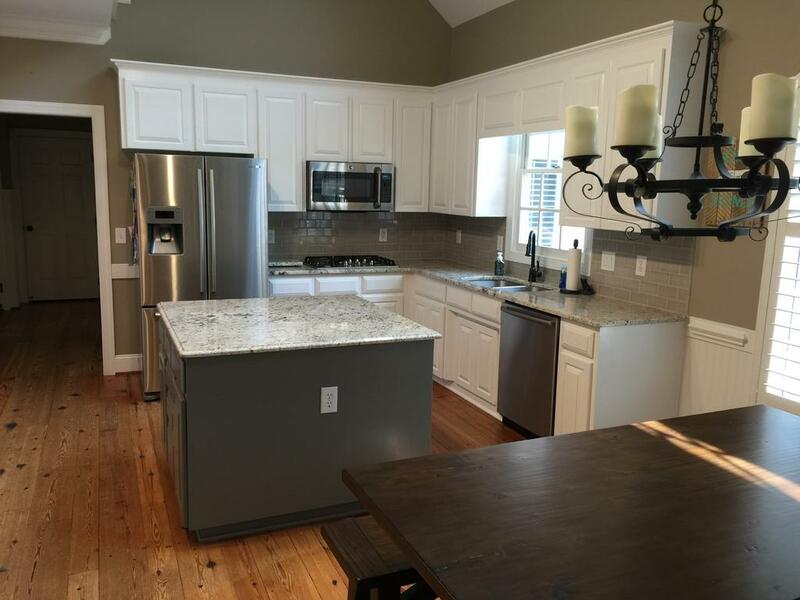 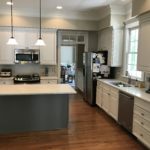 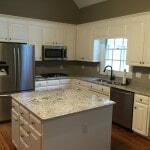 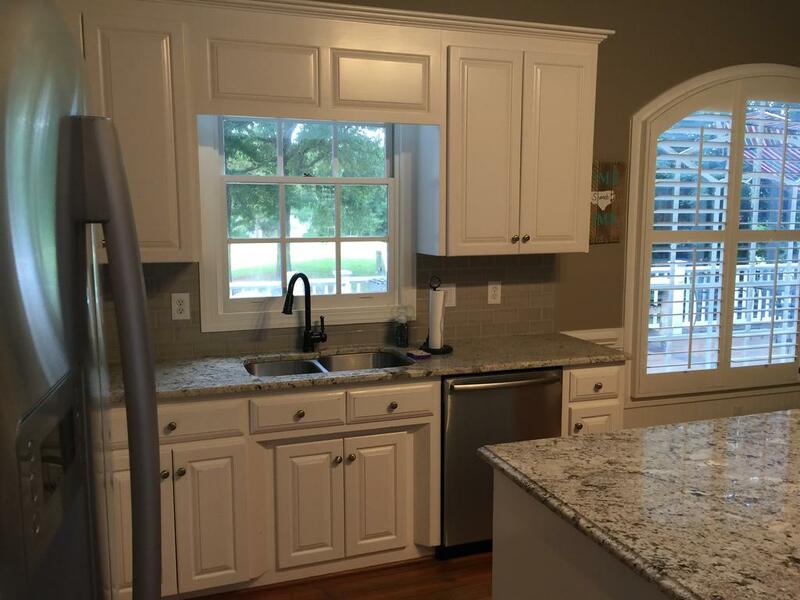 We even use the original paint color so the cabinets would still match all the existing trim work. 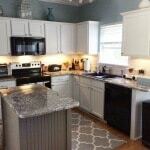 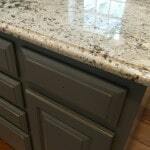 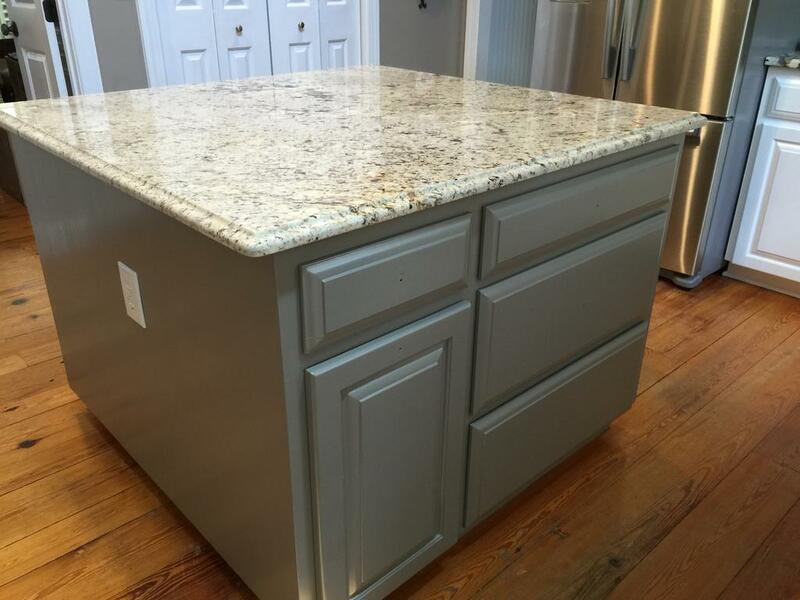 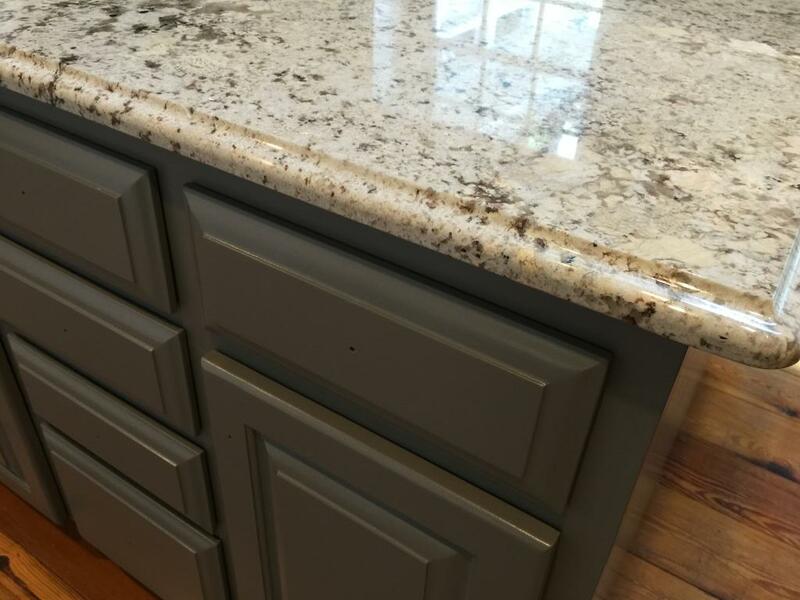 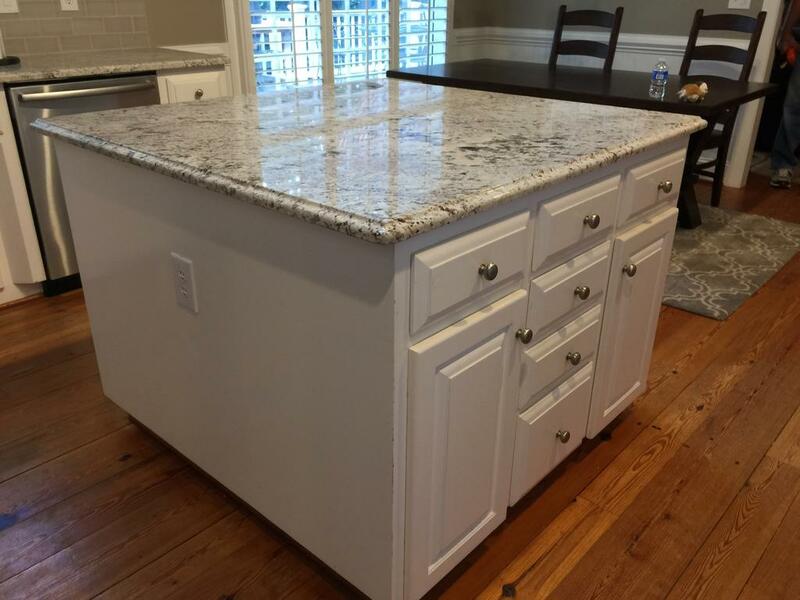 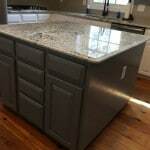 We did, however, updated the island with Chelsea Gray! 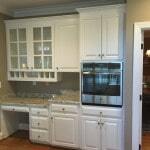 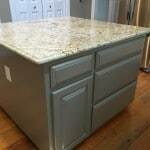 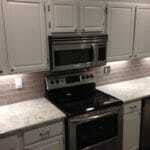 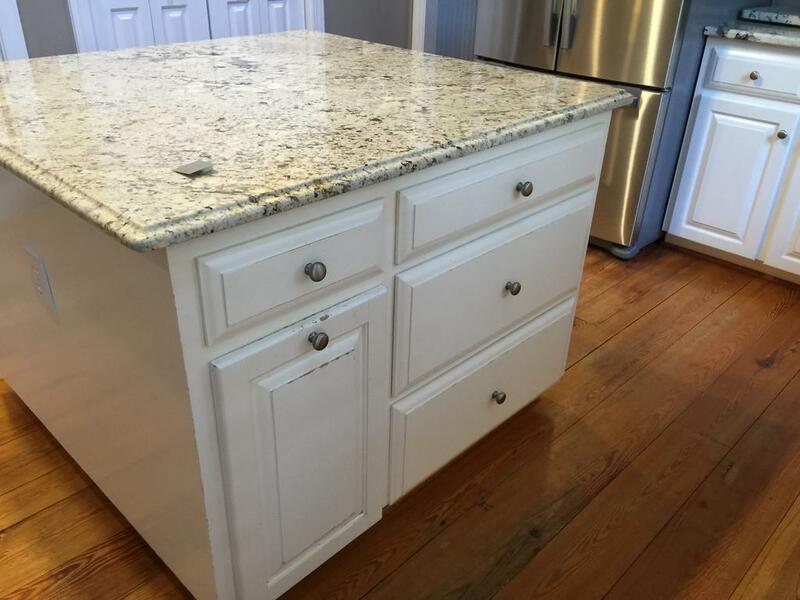 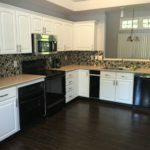 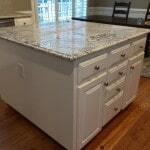 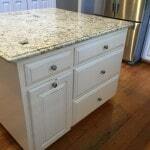 Now the cabinets are no longer the eye sore of the kitchen, they’re the showpiece!